Java was bred by Kerry King at Brasshead Knls, and was sent to New Zealand as a puppy, Java has only been shown sparingly at Specialty shows in New Zealand where he gained his "ROM" Recognition of Merit with Best in Specialty and RU in Specialty shows under Breed Specialists from UK, USA & Australia. Java is a rich red brindle with beautiful white markings and at 2 years old has returned to Australia for stud work at Brasshead. 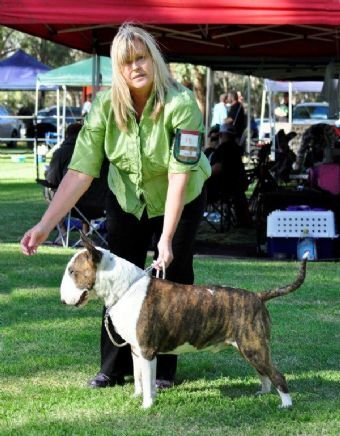 Java was shown at his first All Breeds shows, at the DogsSA Projected Improvements Championship shows under Mr & Mrs Redhead SA and both awarded him Best In Group and in addition he won a class in show at the first show. 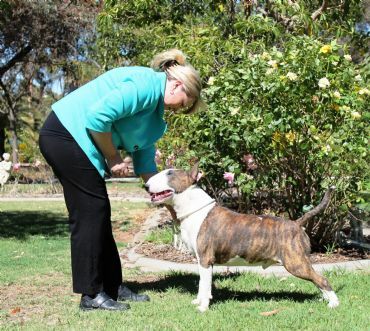 Java was awarded Reserve Challenge dog under breed specialist Mr Joseph Schneider Austria gaining his ROM in Australia. 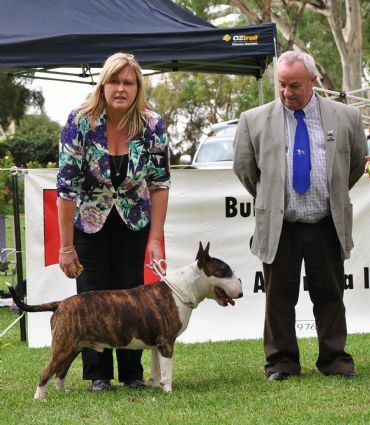 Java received his final point for his Australian Championship title recently under Terrier Specialist Mr Doxtater CANADA with only 5 cc's. Java will only be shown sparingly in 2013/2014.